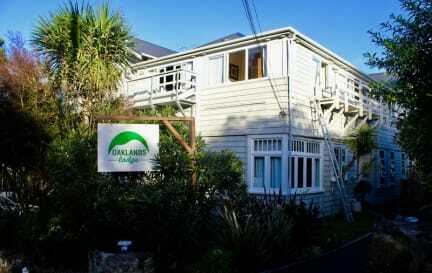 Oaklands Lodge is ideally situated in the heart of Mount Eden village, which plays host to a range of cafes, restaurants and bars. This quiet yet charming neighbourhood also boasts the beautiful attraction of Mount Eden itself where visitors can take in views of the whole city from above. For those who wish to explore the city we are just a short 15 minute bus ride which costs only $3.50. 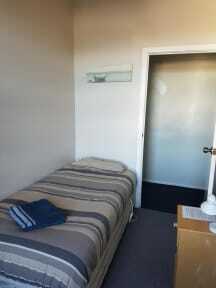 Our large Victorian lodge is a quiet and relaxing home away from home and we are certainly not a party hostel. However, we do encourage guests to be interactive and make the most of their experience in Auckland. We offer a range of laid back activities for guests to get involved with including shared meals, movie nights, and quiz evenings. We also run regular activities with our sister hostel Bamber House such as BBQ's, Laser tag, and sports matches. Oaklands Lodge is now offering free and unlimited WIFI!. Oaklands guests are also able to benefit from towel hire, fresh linen, and extra pillows and blankets.